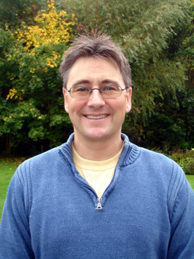 Professor Callum Roberts is a marine conservation biologist in the Environment Department at the University of York in England. He is a prolific author and researcher and has advised U.S., British, and Caribbean governments on the creation of marine reserves. Callum was first tempted into marine science by a trip to the coral reefs of Saudi Arabia, where he studied behaviour and coexistence of fishes. This led to a lifelong love of the sea. In the early 1990s his interests in behaviour gave way to concern about the deteriorating condition of coral reefs, leading to his current emphasis on marine conservation. Callum has served on a U.S. National Research Council Committee on Marine Protected Areas and has also been a member of the Marine Reserves Working Group at the National Center for Ecological Analysis and Synthesis in Santa Barbara, California. Callum's research has shown that a wave of biodiversity loss is engulfing marine and coastal ecosystems, and that many species could be driven extinct over the next few decades. He is best known for his work on marine reserves, protected areas, and assessing rapid dramatic recovery of fish and other animals after protection. These findings have alerted scientists and managers to the scale of human impact on ocean wildlife and show that marine species can still recover. Callum was awarded a Pew Fellowship in Marine Conservation in 2000 to tackle obstacles to implementing marine reserves, and in 2001 he was awarded a Hrdy Fellowship in Conservation Biology at Harvard University. In 2002 he received the Marsh Award for Conservation Biology from the Zoological Society of London.